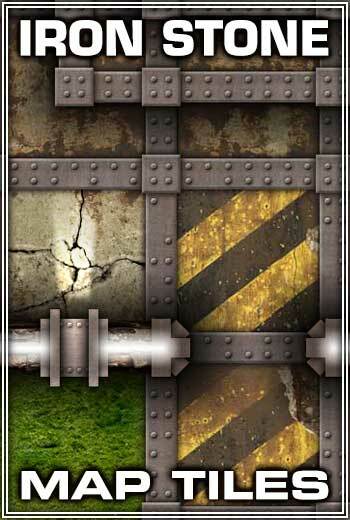 Thick iron bands and chunky rivets holds together rust stained concrete slabs in the Iron Stone Map Tiles art pack. 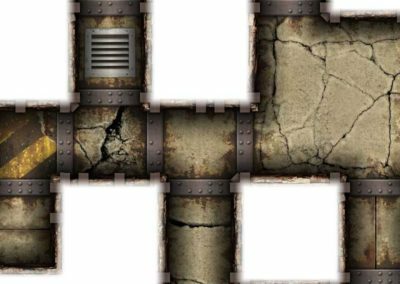 A package of ready-made art assets for the avid Dungeon Master to indulge their cartography skills for constructing grungy dungeons. 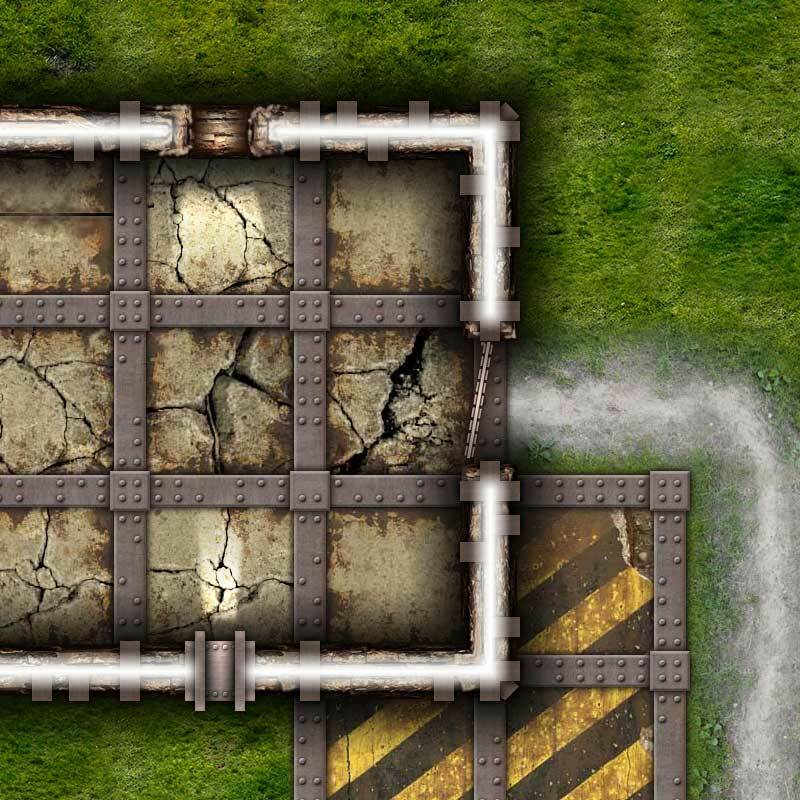 Studio WyldFurr’s map tiles each depict a 5ft square area of terrain, such as the floor of a cave, an area of grass, or where the floor meets a wall. 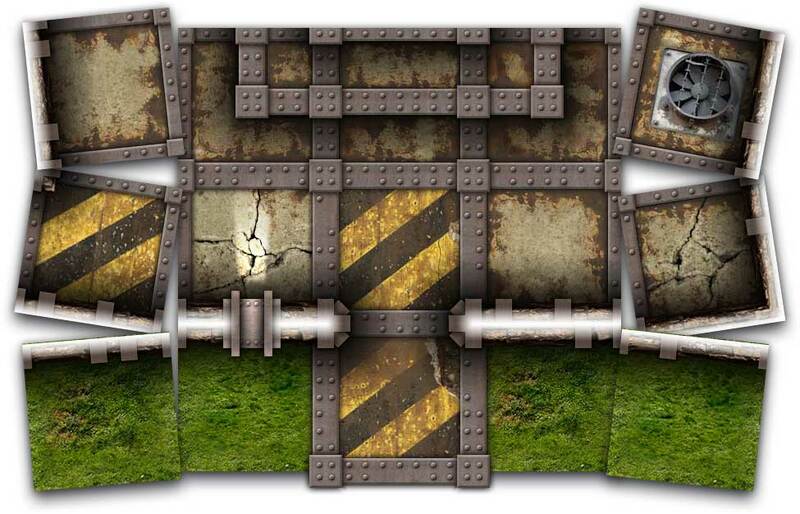 Each of the tiles are provided so that Game Masters can assemble the ready-made elements on a digital canvas to form an adventure map that players can explore. 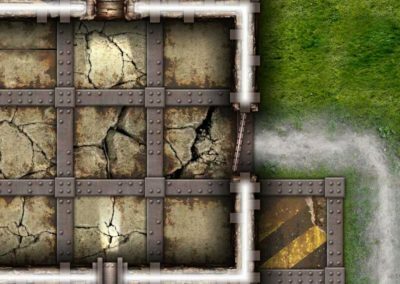 Want to have a look at every map tile that is inside the Iron Stone Map Tiles pack before committing to buying the pack? 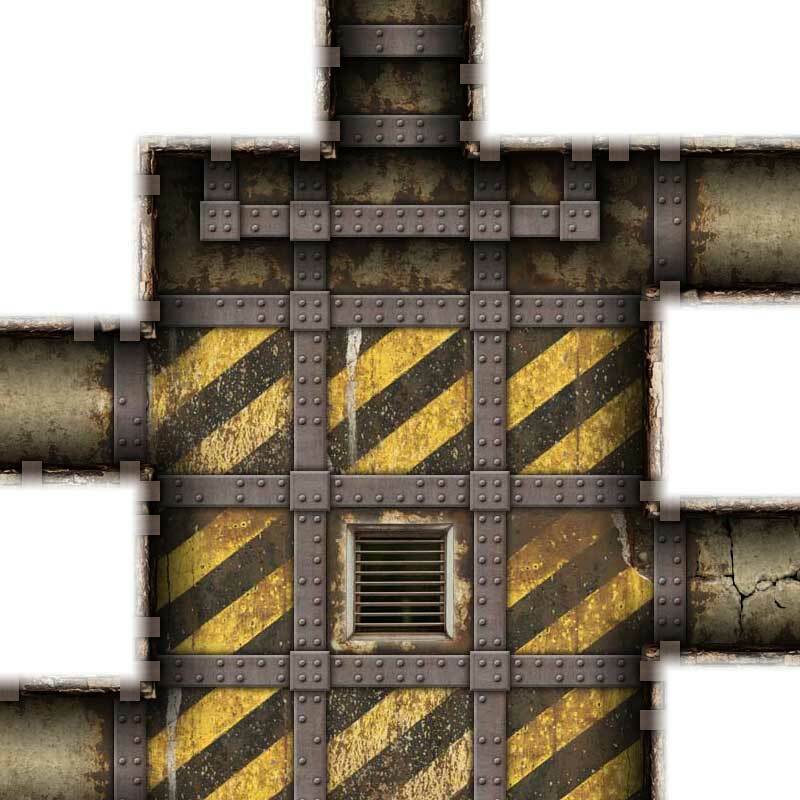 We have assembled a Sample Guide PDF that displays every map tile that is included within the Iron Stone package. Studio WyldFurr’s range of digital role-playing tokens and map tiles all make use of a standard scale of one real world inch rendered at a scale of three screen pixels, for a standard 5ft character square pf 180 pixels square. 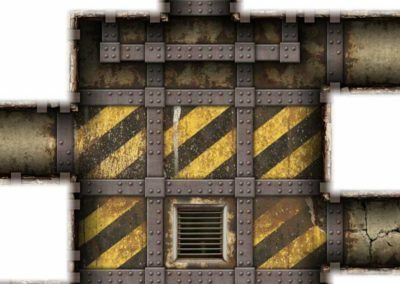 Thus each map tile is a depiction of a 5ft square of terrain. 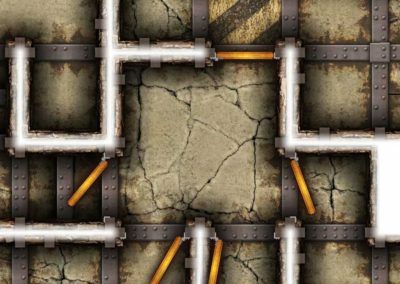 But we also include in each package, a 50 pixel scale version of each map tile for those of us who use the smaller 50 pixel square size. 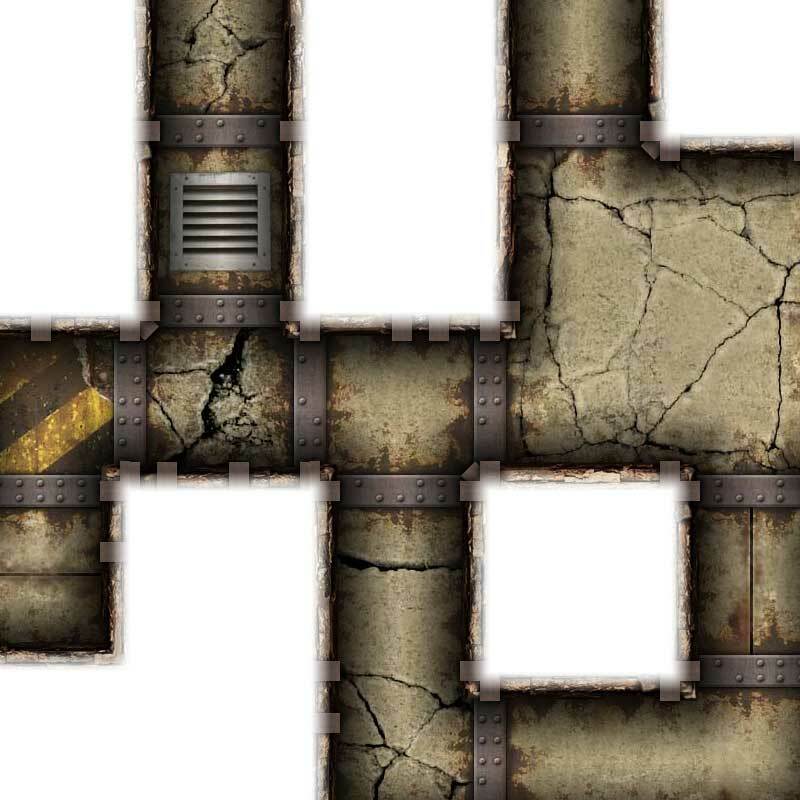 Below are four sample mini-maps made with the Iron Stone Map Tiles set. 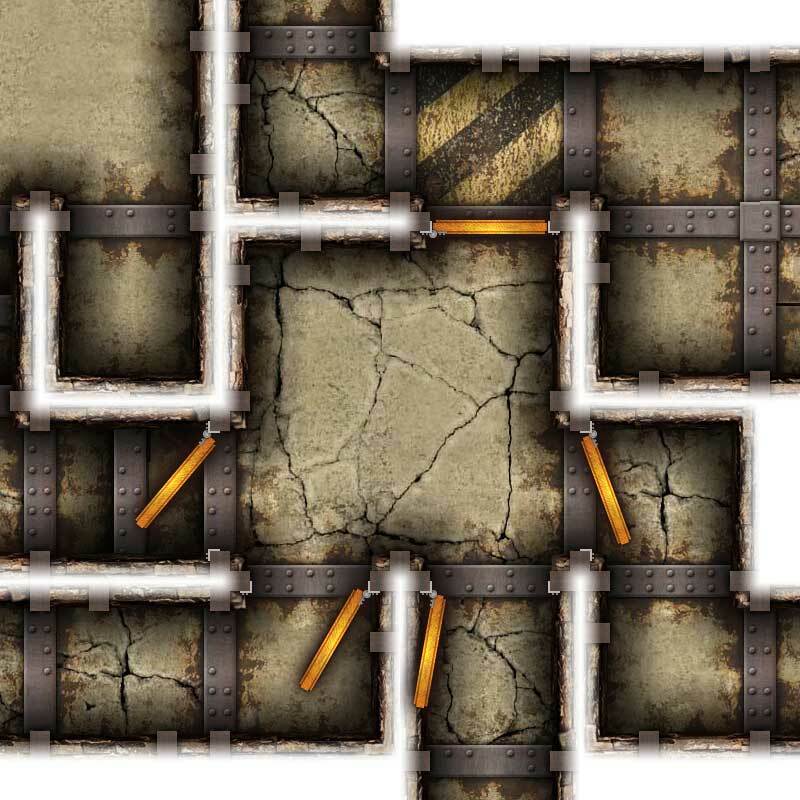 Grab the Iron Stone Map Tiles package and expand your map building tool kit, available from DriveThruRPG.com.